The Commissioner of Police, Plateau State Command, CP Austin Agbonlahor has ordered the "immediate" investigation of yesterday's attack in Rawuru village in Barkin Ladi Local Government Area. The CP according to a statement by the State Police Public Relations Officer, DSP Tyopev Terna wants hasty arrest of the perpetrators of the attack to face the full wrath of the law. The statement confirmed that five people were killed in the attack which occurred at about 9pm local time. "On 26/12/2018, at about 2115hrs, some unknown gunmen attacked some people when they were returning from a birthday party from Pugu Village. "As a result of the attack, five people were killed and two were injured. 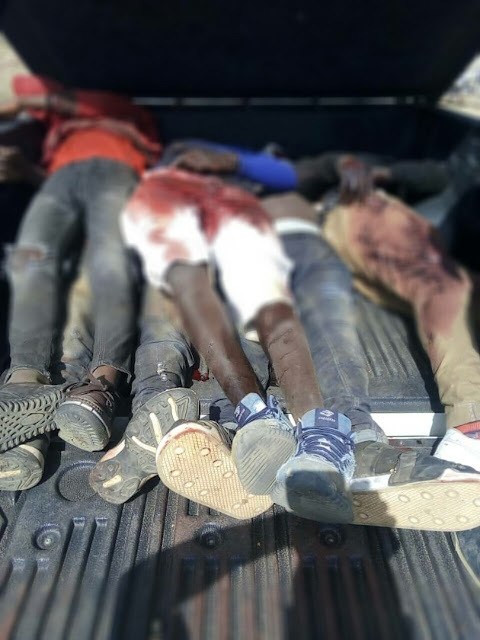 "The five persons who lost their lives have since been buried while the two injured are currently receiving treatment at the General Hospital Barkin Ladi," the statement says. So far, no clue has been announced yet as to who the attackers were, but locals suspect Fulani herdsmen. On Monday, there were series of anonymous messages circulating on social media, warning of impending attacks. Police in the state had however announced the deployment of over 2000 personnel across the state to maintain peace during the Yuletide.